Last June, I visited La Alhambra and fell in love with its amazing tile-work, arches and gardens, which nurture and inspire the soul. With no expectation for my tiles to last hundreds of years, I’m creating them in Illustrator using high-resolution microscopy images of blood vessel cells (and cell parts) to form patterns. 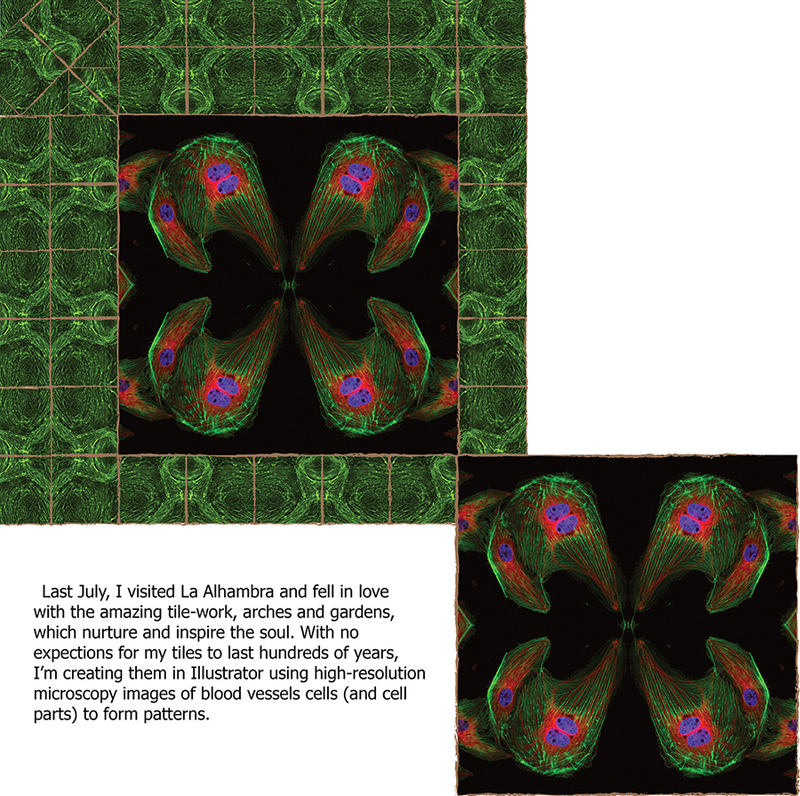 This entry was tagged arts, blood vessel cells, cell artwork, cell images, Nancy C Qutub, Nancy Qutub, tile patterns. Bookmark the permalink. Beautiful, Nancy. This one will be fun. Thank you, Pam. I’m excited about working on this new piece.